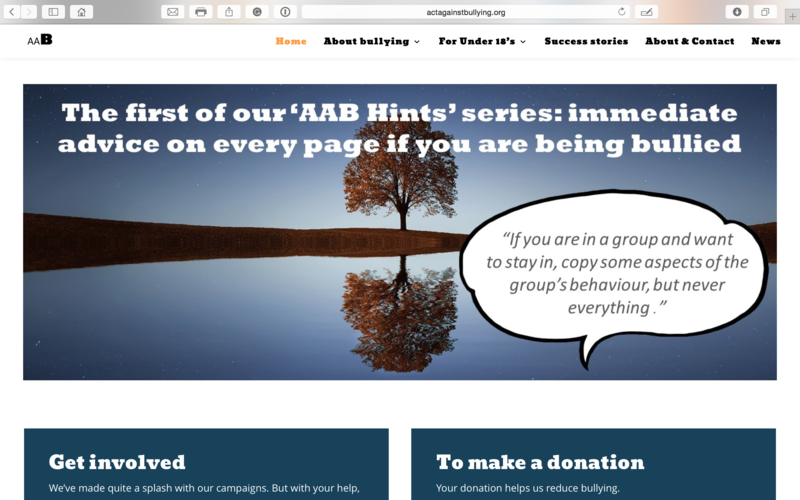 Act Against Bullying is one of Britain’s longest running school age bullying charities. 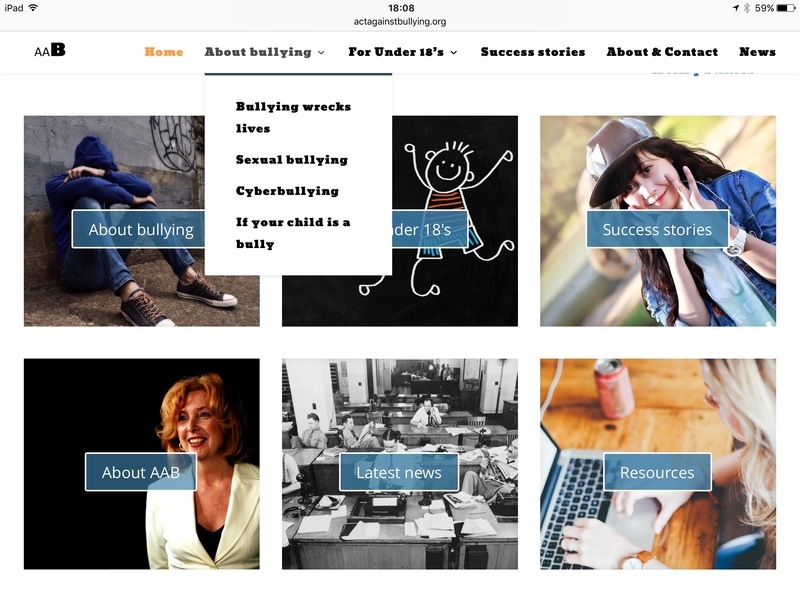 It had suffered from a dated, poorly presented website. Technique were appointed to redesign the site for today’s world. 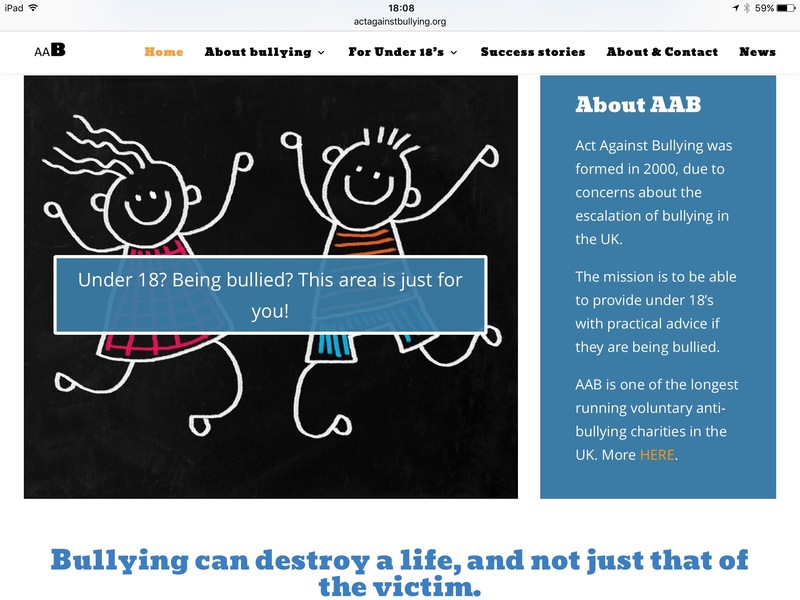 To emphasize the practical nature of the site, each page contains an ‘AAB hint’: one sentence of practical advice that a victim of bullying can use immediately. 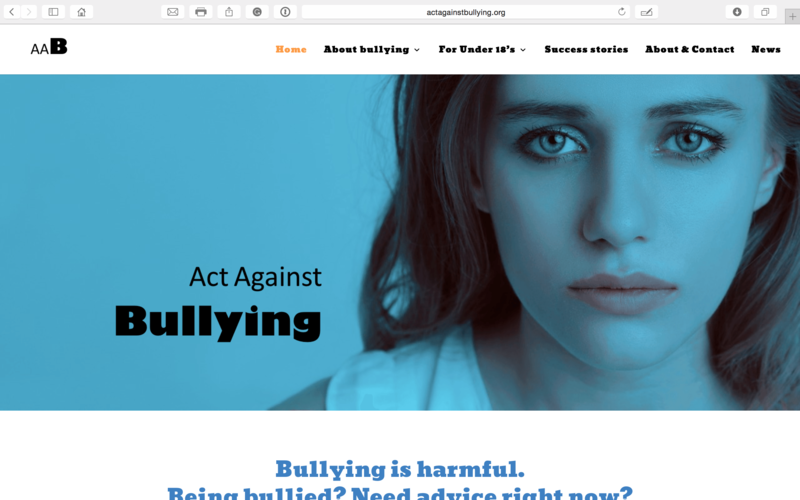 The site is highly visual and uses contemporary but relevant, rather than fashionable or gimmicky, web design principles. 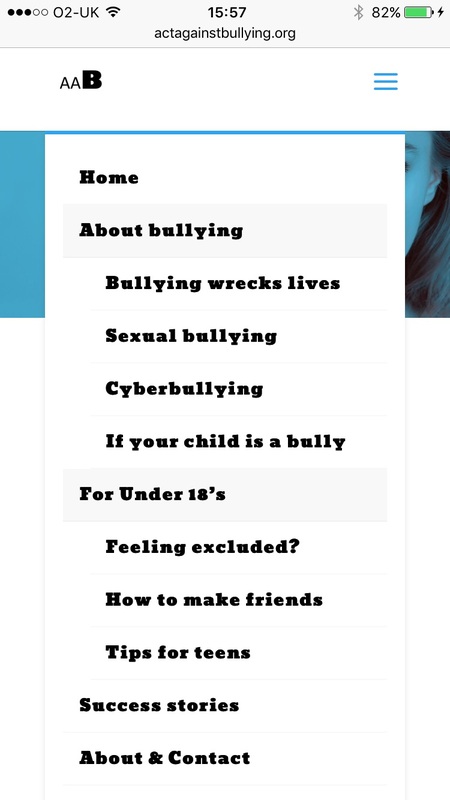 It uses a blue colour pallet because the colour connotes calm, and the headline font is intended to have impact without being too formal or serious, both making the site more approachable for sufferers of bullying. 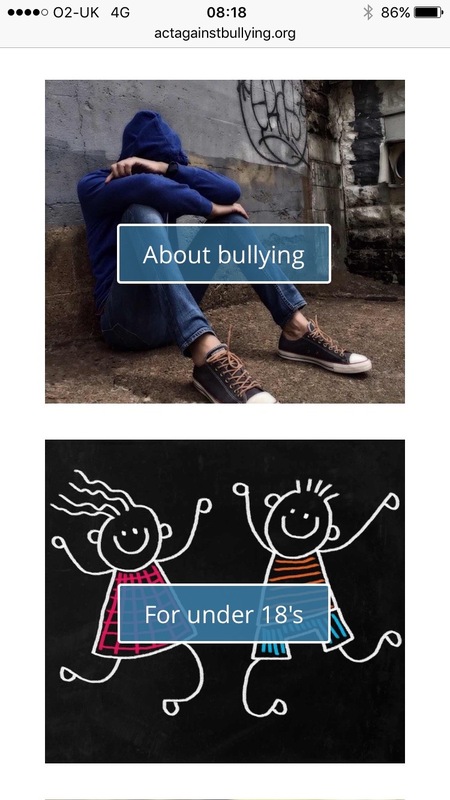 As with all charities, budgets were limited and so stock photography was used, selected to reflect an understanding of how painful bullying can be, without being universally negative, instead using optimistic imagery where appropriate, and imagery that reflects the way young people interact today. 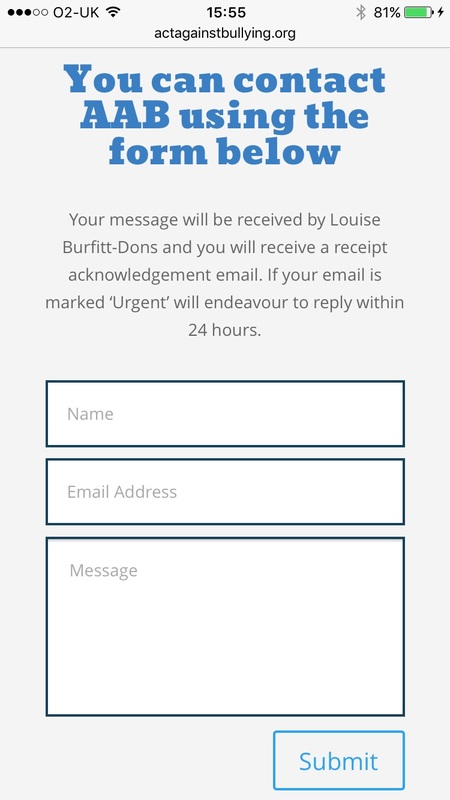 The site provides a Paypal donations page, linked to the client’s bank account. 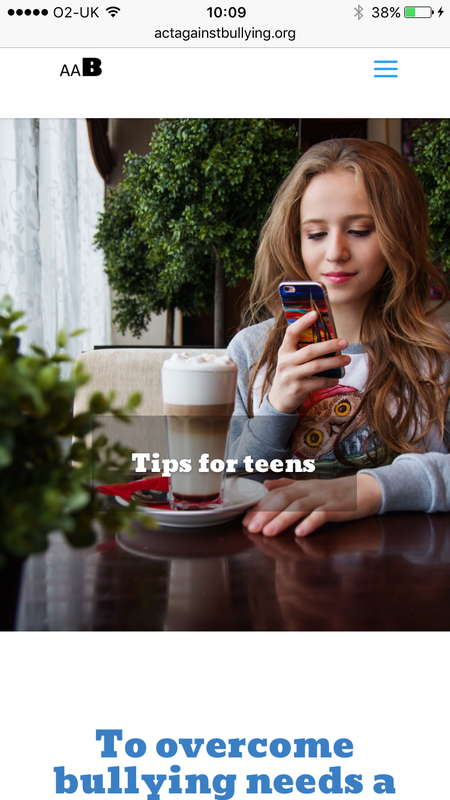 It contains a blog that the client can add to themselves. 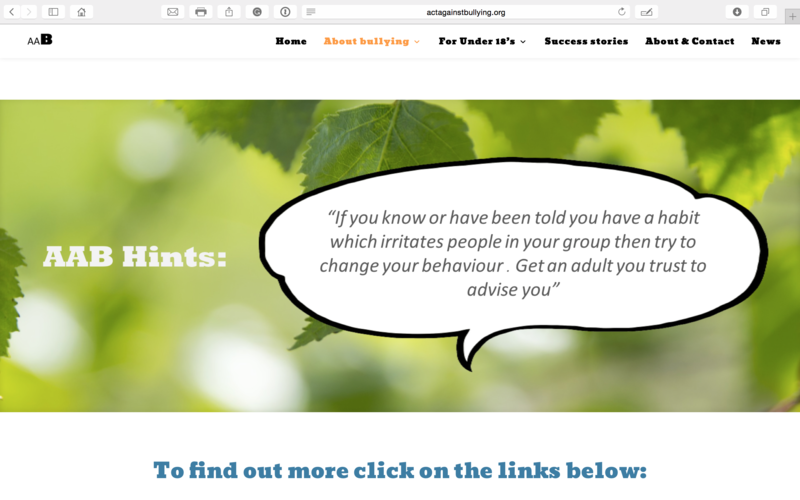 A user manual was provided so that the client can make simple amendments to the site without needing to refer to ourselves. 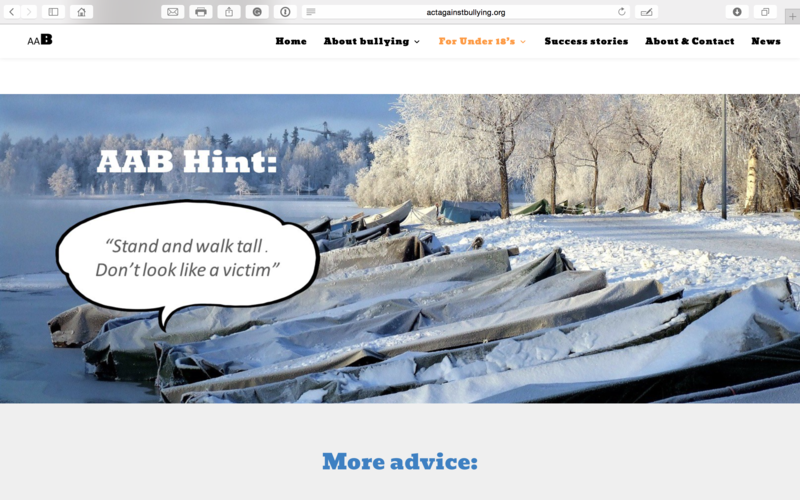 As you can see from the images, right, the site is fully responsive (which means it reformats for different devices). Site traffic has increased 80% since the new site launched. It is black and white, not to suggest a lack of subtly, but to suggest a straightforward approach. 33 Great Pulteney St, London, W1F 9NP.